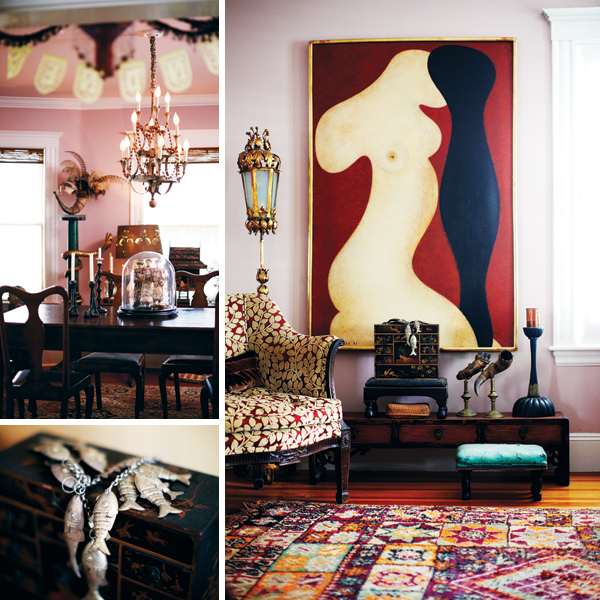 In this Roslindale home, found treasures become high art. By Alyssa Giacobbe·	 10/1/2012, 6:50 a.m.
Left: Found objects from Joanne Rossman’s travels to Morocco, Paris, and throughout the U.S. are arranged in an antique cabinet purchased in Troy, New York. Right: Indian kantha wait to be cut and sewn into women’s jackets, sold at Rossman’s Roslindale store. Joanna Rossman has always been a collector of things, experiences, and stories. 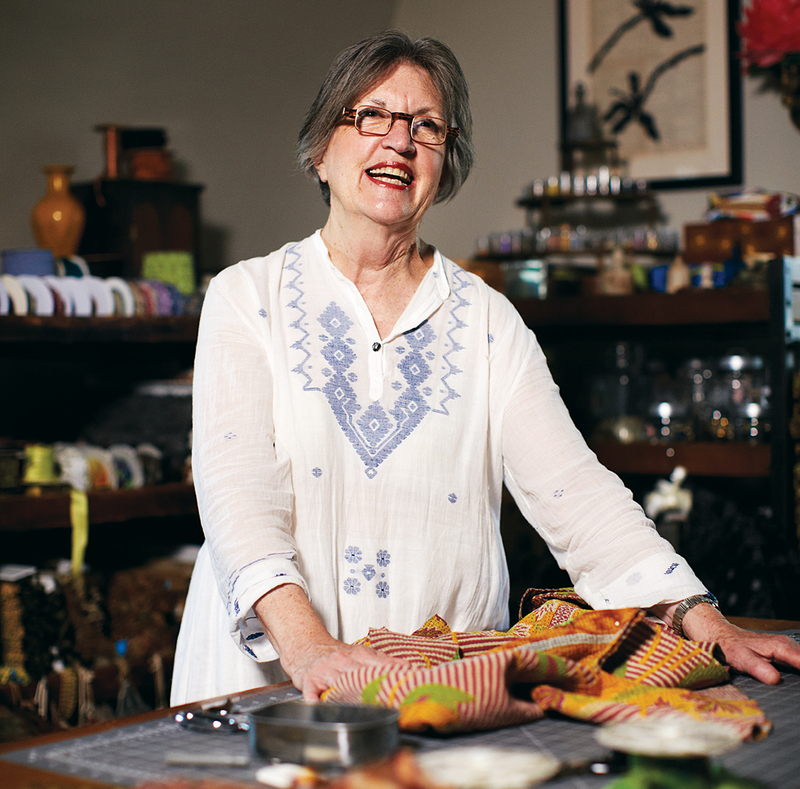 As a fabric and clothing designer, she constantly gathers ideas for her pieces; as a business owner, she seeks out unusual and “unnecessary” treasures for her store. You could say that she’s an aesthetic adventurer. In 2006, though, it was time to let go, in a way, and leave the West Roxbury home she had shared with her partner, Byrd Swift, an artist who died of cancer in 1998. Almost instantly, Rossman had buyer’s remorse so intense that she spent the first three nights sleeping at her daughter Maren’s house. “Once you own a house, you start seeing all the flaws,” she says. “The gold flecks that are in the swirly-plastered walls all of a sudden have neon lights blinking at you.” She resolved to overhaul the kitchen, do a quick interior paint job, and sell. 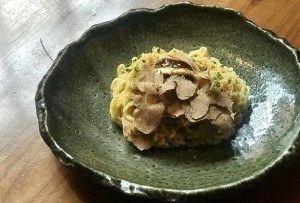 Whether or not she was going to stay, Rossman was determined to make the kitchen the center of the house. Working with Dedham contractor Lou Brennan, Rossman raised the ceiling and created room for open shelving by covering up the side windows overlooking her neighbors’ house. She removed a built-in china cabinet to create extra space for the concrete counters and added a Wolf range, recessed lighting, and, of course, plumbing. Other improvements, mainly superficial, included installing crown molding in the front living room and plastering over the gold-speckled walls in the dining room. The kitchen opens to a sunroom—“My boys call it my ‘Florida room,’” Rossman says—with windows on three sides. Upstairs, she removed a closet from a small bedroom, which became a library and a place for her collection of antique shoes, and created space in the stairwell. Through all of this, she learned firsthand how discouraging old houses can be: “As soon as you open up a wall, be prepared to be surprised,” she says. 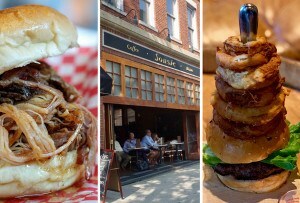 Even so, two months into the renovation, she found herself falling in love with the place. In the European style, each year she closes her shop for the month of August. Though there’s no more space in the house, she spends her free time antiquing, searching for things for her store and just browsing. 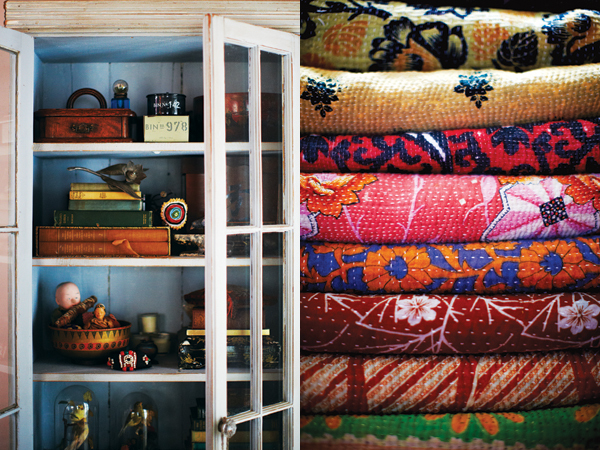 “I spent a lot of my life without money, so I would always go to Goodwill or junk and antiques stores,” she says. 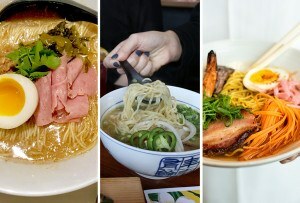 “It became an incurable addiction. And Byrd loved antiquing, so the two of us…we were just ridiculous. We would go on these fabulous adventures, and it was great fun. I savor all of the memories I have of when she was alive.” Here in Rossman’s house, she still is. Clockwise from top left: In the dining room, a castoff library table got a showstopping makeover from Patch NYC’s Don Carney, who painted the faux woodgrain on the top by hand; a Byrd Swift painting hangs above a Japanese table and a rug purchased in Marrakesh; a detail of a silver fish necklace from India. 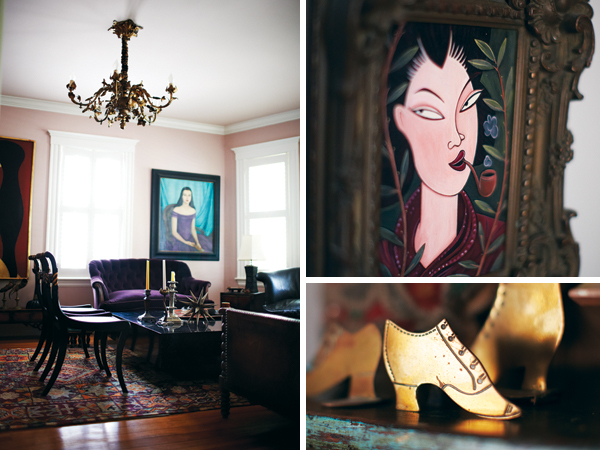 Clockwise from left: A circa-1850 French bronze chandelier lights the living room near a 1942 painting of Swift’s mother—Byrd Worthington Swift—by an unknown artist; an oil painting by Don Carney; a Victorian brass shoe given to Rossman by designer John Derian. 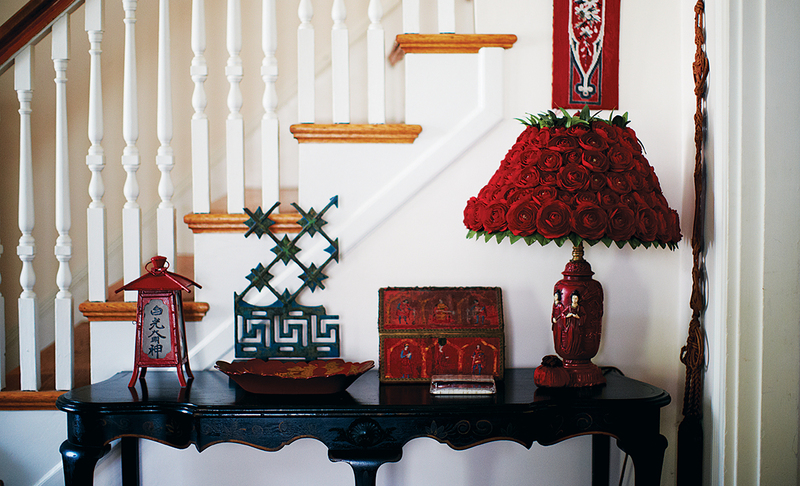 A table in the foyer featuring found objects such as a Chinese funeral lantern, ironworks art, and a rose lampshade made by Swift. 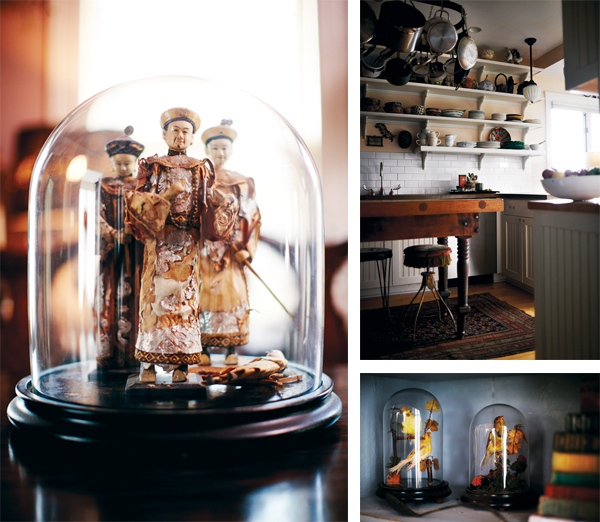 Clockwise from left: Chinese dolls from the 1800s, found at an estate sale, look elegant under a Victorian glass cloche; Rossman repurposed a heavy vintage wooden table found in Troy, New York, for her kitchen island, accenting it with antique piano stools, and open shelving holds mismatched china and pottery; Victorian-era stuffed birds make for a lifelike display. Rossman sews a jacket in her home studio. Clockwise from left: A view of the library; an American iron chandelier from the 1920s; a 1915 French chandelier purchased at Brimfield; a midcentury Italian iron chandelier. 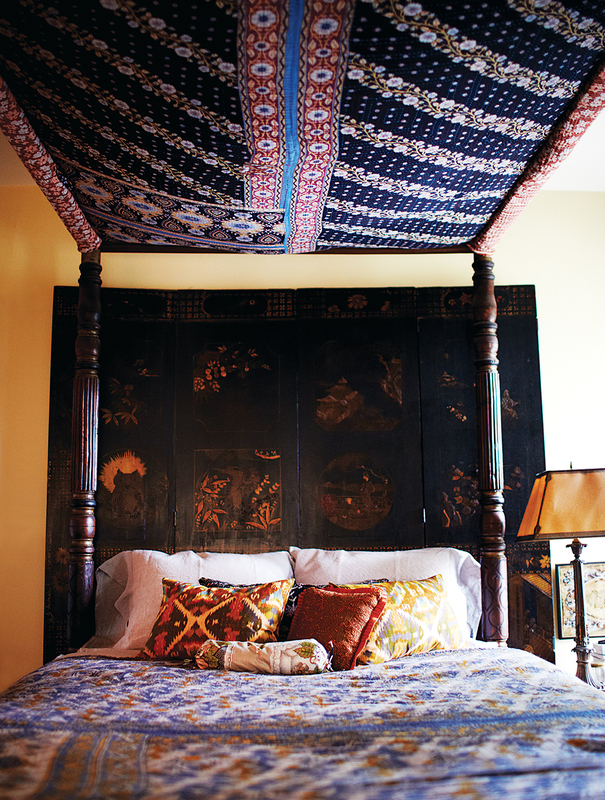 A Coromandel papier-mâché-and-wood screen—made in India for export and accented by a Jeanette Farrier canopy with pillows by Rossman—serves as the headboard on Rossman’s bed. Row 1: Rossman’s collection of coin-silver spoons, displayed in an English stoneware sugar boat; an ink-on-paper drawing by Don Carney; antique English inkwells; an assortment of fabric trims in Rossman’s home studio; the bedroom wall, adorned with antique memorial pieces, vintage paintings, and found objects. 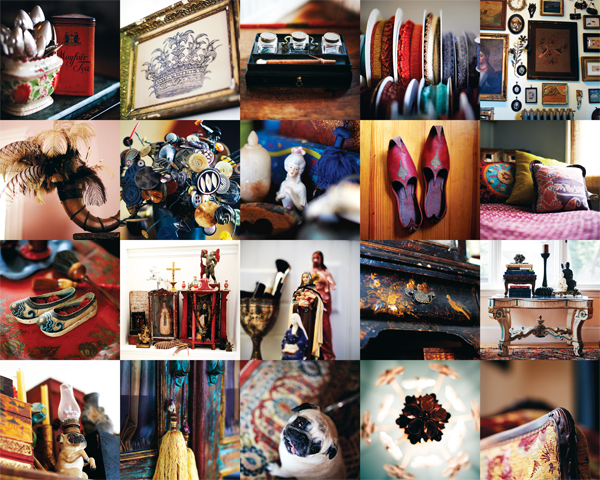 Row 2: A horn inherited from Swift’s family holds Rossman’s feather collection; a button bouquet made by Swift; a detail of a homemade shrine in Rossman’s studio; a pair of antique shoes from the designer’s collection; Rossman’s own handmade pillows. Row 3: Another shoe from her collection; a second shrine features religious artifacts from around the world; alabaster saints and makeup brushes mingle in the bathroom; a detail of a 1720 English chinoiserie cabinet with the original finish; an antique wooden coffee table in the sunroom. 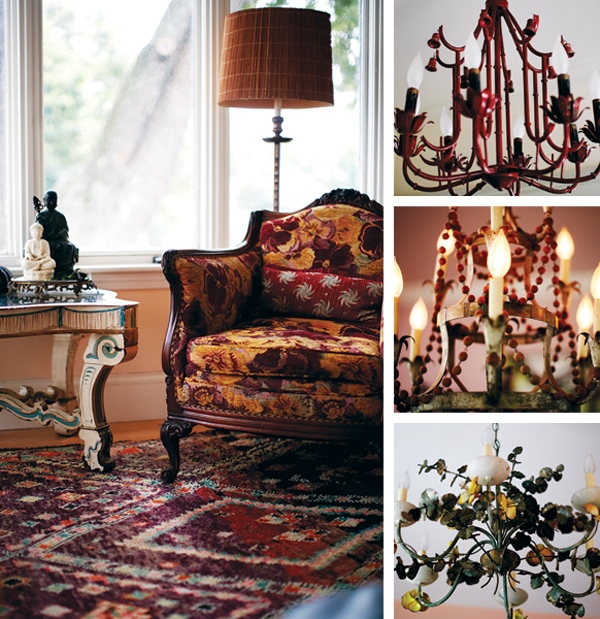 Row 4: A pug-shaped oil lamp was a gift from John Derian; yellow tassels hang on a painted chest; Miss Rita Rose, Rossman’s store mascot; one of more than a half-dozen chandeliers scattered throughout the home; a detail of a settee Rossman salvaged and reupholstered.